When I was searching for yesterday’s Adidas track, I stumbled across this one in the same town that caught my eye. 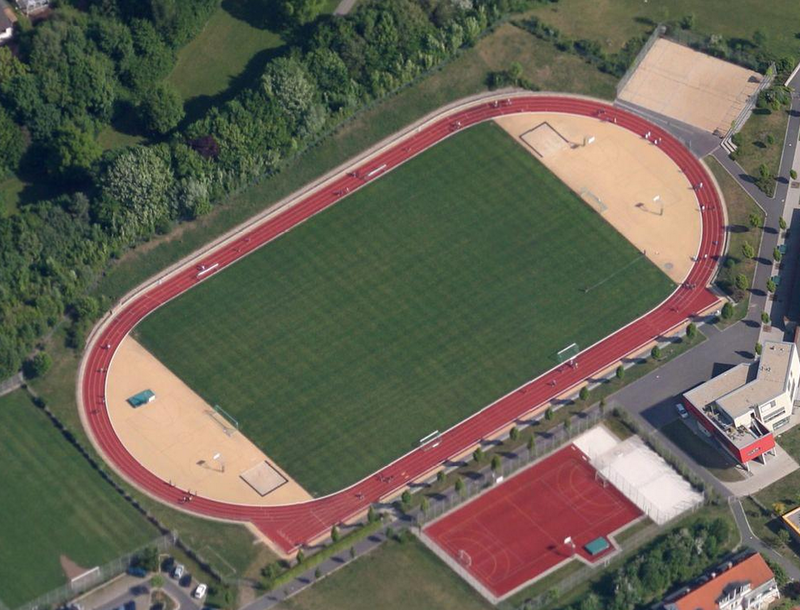 It’s located right behind the school Gymnasium Herzogenaurach. I noticed it right away because of the two-color synthetic surface – red lanes and tan D-zones. Then when I looked a little closer, I realized that there are only four full lanes. There are two additional lanes added to the main straightaway however. Inside each of the ends, the school put in a basketball court, but there is also a large sandpit with two take-off boards. There is also a high jump pit, and at least one shot put circle. This one looked too nice to pass up without posting it!